An end to employer strict liability, who will benefit? Hardly a week goes by where there isn't a news story about our under-pressure, under-funded and under-fire NHS. But thanks to the Welsh Assembly, some legislation looks to be in motion that may provide the NHS with some much needed financial support. 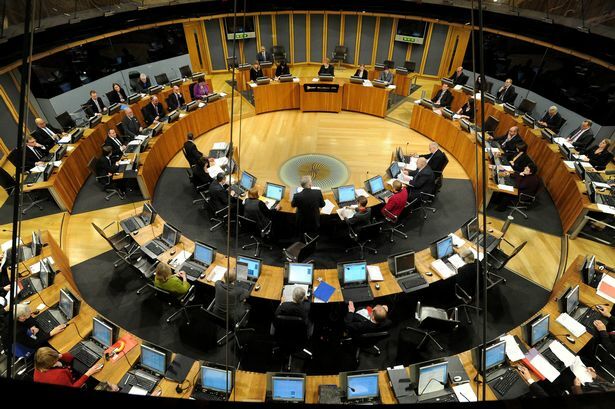 The Welsh Assembly has just voted in favour of a law to allow the Welsh NHS to recover costs of treating patients exposed to asbestos from negligent employers or insurance companies. Employers have known for over 20 years that exposure to asbestos was dangerous and it is argued that employers should have been taking precautions prior to the banning of using of all forms of asbestos in 1999. Exposure to asbestos can lead to a number of debilitating and also terminal conditions including asbestosis (scarring of the lungs), a thickening of the lung lining known as 'pleural thickening' and mesothelioma a cancer of the lining of the lungs. The costs of treating patients unfortunate enough to contract these diseases is extensive, so it is reported that the Welsh NHS could benefit to the tune of £1 million every year as negligent employers and their insurers are forced to reimburse the Welsh NHS for their treatment of asbestos illnesses. A similar principle already exists to allow the NHS to recover the costs of a visit to hospital or inpatient treatment of those injured in a road traffic accident from the insurer of the driver found at fault for the accident. The NHS has benefited significantly from this scheme, as in 2009 it was recorded that around £105 million per year is paid direct to hospitals who have provided treatment. This is a definite benefit for the already overstretched NHS. As the money recovered can go on to fund other treatments and improve our access to healthcare generally. "We believe it is wrong simply to take out asbestos-related diseases and not apply this Bill more widely to other industrial diseases"
As well as other industrial diseases, would it not also be beneficial to expand the principle even further to pursue employers following any kind of injury to their employees in the workplace? Furthermore remember this Bill only applies to Wales, but without doubt the NHS in the rest of the UK would also benefit from this being adopted? The NHS report that around 4,000 people a year die from asbestos related diseases and the treatment costs run into thousands of pounds per person. Surely in the current economic climate the NHS should not to have to rely on tax payers to cover the cost of treating patients injured by the fault of negligent employers?